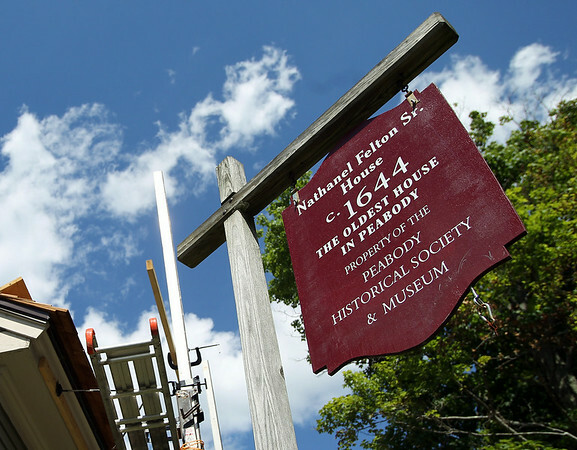 The Nathaniel Felton Sr. House in Peabody is having its roof repaired. DAVID LE/Staff photo. 6/19/14.